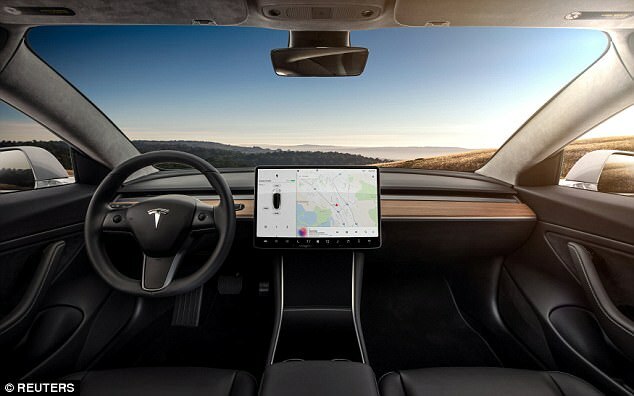 The video was recorded by a Tesla fan who visited the firm’s Austin showroom, where the car, believed to be the first shipped outside California, was on display. ‘There’s a lot to learn,’ the customer admits after the tutorial is over. ‘It’s a learning curve for us too,’ the Tesla employee replies.